To give you a better understanding of what PocketControl is all about, we talked to an actual user of the app. Hunter Fairstone started out as a beta tester for PocketControl, and has been using the app since its release on various projects. We want to share his experience with PocketControl with you. Nice to meet you, Hunter! To start off, can you please tell us a bit about yourself? Hunter: I’m an IATSE Local 600 DIT, based out of NYC, working primarily in commercial, live events, and feature. I’ve been in and out of the filmmaking world for about a decade, with a long stint in technical operations for broadcast network television before going full time as a DIT for the last 4 years or so. You are working with PocketControl. The idea behind the app is that you can remotely monitor and change camera settings. How do you usually control the camera on set without the app? Hunter: For controlling camera settings, I use ARRI’s WEB GUI when possible. The CDL workflow I usually control through LiveGrade Pro, and for media management I use Silverstack. How does all of that change with the app? Hunter: PocketControl now essentially gives me a great HUD display so I can confirm all my settings at a glance. I especially like having one click access to the internal NDs, which pairs VERY nicely when I’m also the one pulling iris. From my experience with PocketControl, I also like the grading controls that the app offers. On the feature I’m on right now (instagram.com/abe) we’re working in a lot of locations which are not very accessible for my cart. It has worked out well for me to use PocketControl to make quick contrast adjustments within the app and then further refine when I’m back at my station. You started out as a beta tester for the app. Can you please describe briefly how you’ve tested the app? 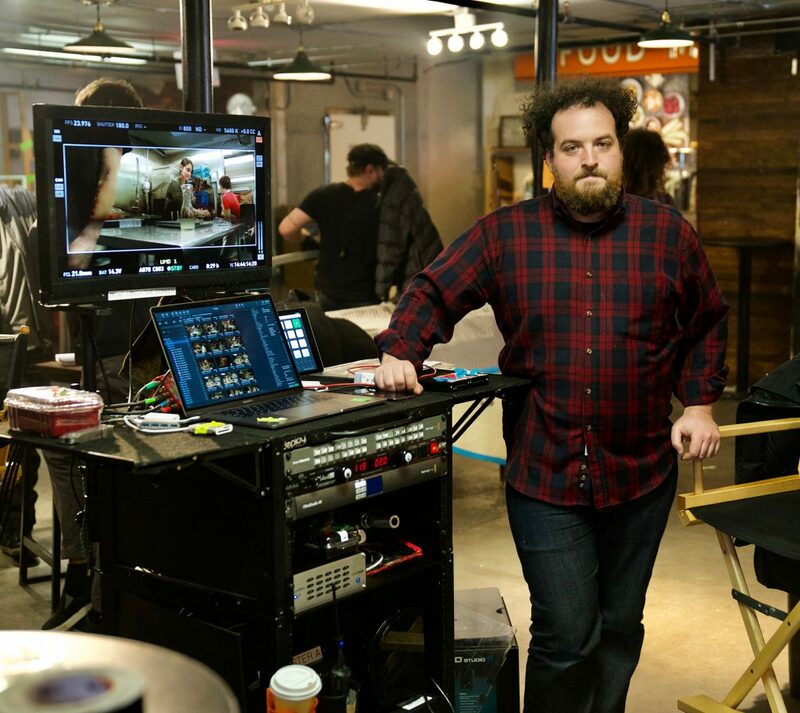 Hunter: I first used PocketControl on a commercial with DP Hunter Robert Baker. He happened to be hosting a meet-up for Cinematography Salon (a private group for cinematographers) that same weekend, so he invited me to come do a demo of the app. It was a huge hit! I got lots of great feedback from NYC Cinematographers, operators, and ACs, which I sent Pomfort’s way. Pomfort was great about responding to feedback. I had initial concerns about how PocketControl overwrote the looks on camera by default. In response to that Pomfort offered various implementations to more safely revise how that protocol was handled. From your experience with PocketControl: Where and how will you use it in the future, and for which situations do you see the biggest benefit of PocketControl? Hunter: This app has been particularly useful for the feature I’m currently working; it’s being shot by Italian DP Blasco Giurato (who shot Cinema Paradiso). We unfortunately do not speak the same language. With this barrier, using PocketControl has simplified some of my more typical tasks. He can just show me a quick representation of what he likes via the iPad, which I can then further dial-in in LiveGrade. Is there anything that you particularly like about PocketControl, or something you would still wish for? Hunter: I just love the internal ND control that PocketControl offers. What would be absolutely great to have is an easier way to bring CDL data into LiveGrade Pro from the app. Do you have any advice for someone who’s thinking about starting to use the app? Hunter: Remember, there’s not one preset to rule them all! PocketControl isn’t about turning the Alexa Mini into an Instagram camera, using LUTs like filters. It’s a tool, to help you get just a little closer to your end-vision. We’d like to thank Hunter for this interview, and for his valuable feedback during the beta phase of PocketControl!